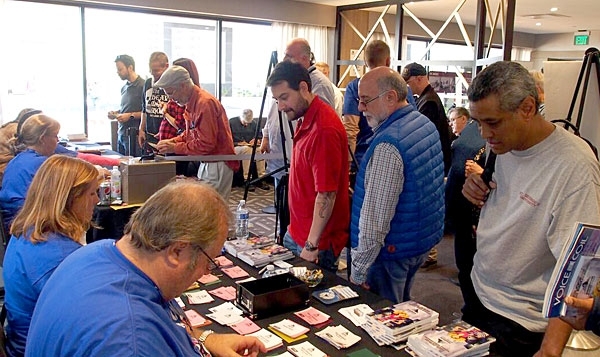 When Rocky Mountain Audio Fest 2016 (RMAF)the hot hi-fi rager of the Wild Westcame to its close, I had one more official stop to make: YG Acoustics. Located just 30 minutes from Denver in the city of Arvada, is the YG Acoustics facilityincluding the factory, showroom, and offices. 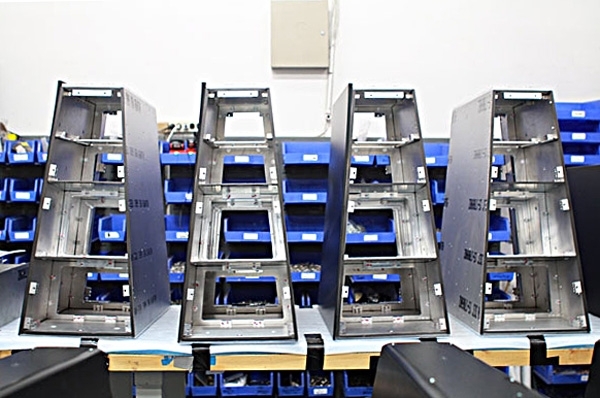 Much like most factories, the exterior is an unassuming vanilla casing, with no evidence of the flavorful, no-compromise, high-tech, high-end speakers living (and being brought to life) inside. 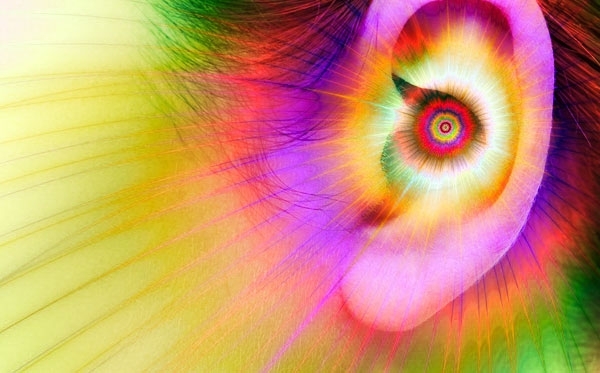 We all live with earwax. Some more than others, but none of us are immune. The 2016 Rocky Mountain Audio Fest has come and gone, and here I find myself, back in the quiet comfort of Brooklyn. Back with a glass of red wine in my hand, a table full of hot Indian takeout, and a dreamy Chet Baker serenading me through my modest system: a Technics SL 1200 Mk. II turntable with an Audio Technica AT440MLa cartridge (on a Technics headshell), a Fisher 800-C stereo receiver, and a pair of Rogers LS3/5a monitors sitting atop Skylan Speaker Stands. What more is there to life?
. . . Or so I had thought . . . The Greatest Day of My Life: Seeing Elton John Live! 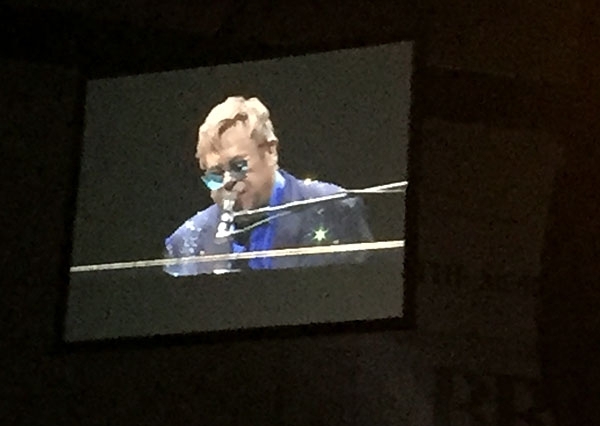 Last week, I experienced what may have been the greatest day of my life so far: the day I got to see Sir Elton John live in concert for the first time. 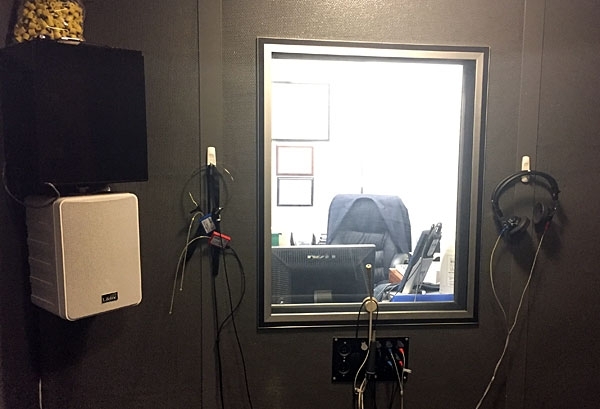 This happened on September 27, 2016, in Allentown, PA.
Picture your typical high-end audio manufacturer. 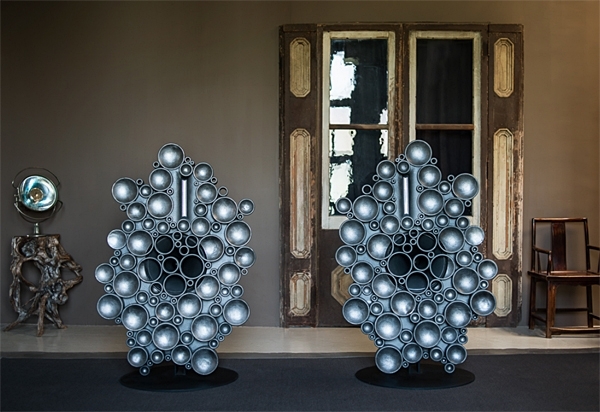 It can be a spontaneous, self-generated hybrid of black shapes, brushed metals, and varying wooden finishes. You need not limit yourself to a single component or a single manufacturer. Whatever comes to mind first, really. 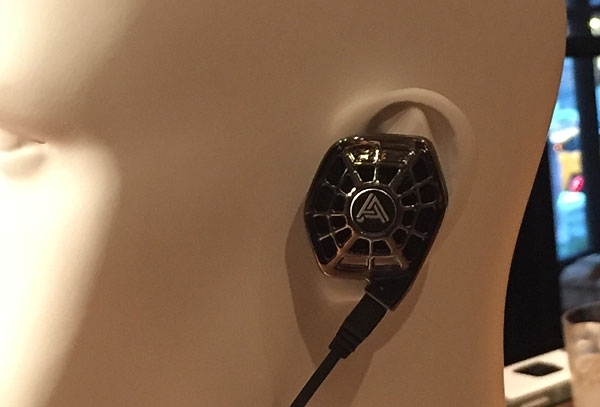 Last week, John Atkinson and I attended "The Audeze Sensory Experience," Audeze's official launch party for the iSine10 ($399) and iSine20the world's first in-ear planar magnetic headphones, which will be available in November. The graphic above was created with data provided to me by the CTA (Consumer Technology Association). 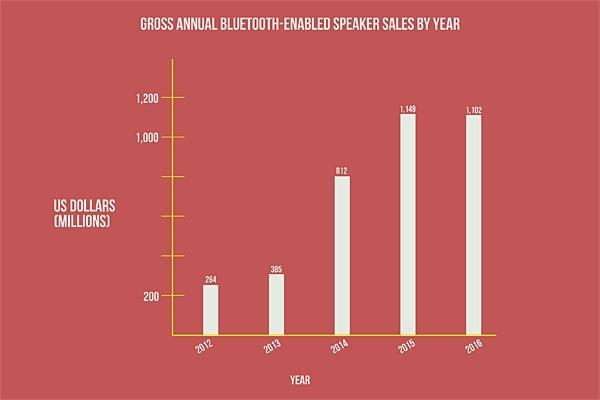 I understand that this data cannot possibly account for every single pair of Bluetooth-enabled speakers sold in any given year, but I believe that this is the most accurate account of data currently available to us. 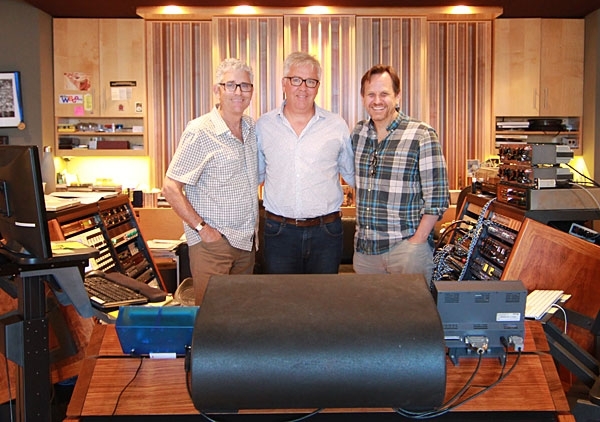 On August 25, 2016, John Atkinson, Michael Lavorgna, and I attended an event at Battery Studios, Sony's Manhattan-based music production facility. 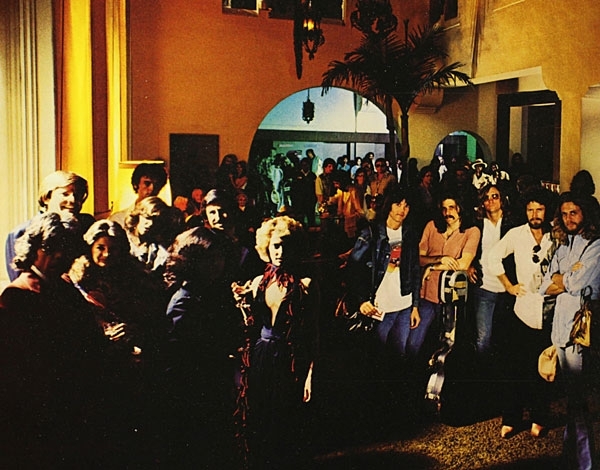 The event itself was very personal, as we three were the only non-Sony people present at this particular session. (There were multiple sessions held that day.) We were introduced to Sony's latest hi-res personal audio productsthe "Signature Series," which consists of the MDR-Z1R headphones $2199.99), NW-WM1Z ($3199.99) and NW-WM1A Walkman players, and the TA-ZH1ES headphone amplifier ($2199.99). The graphic above was created with data provided to me by the CTA (Consumer Technology Association). 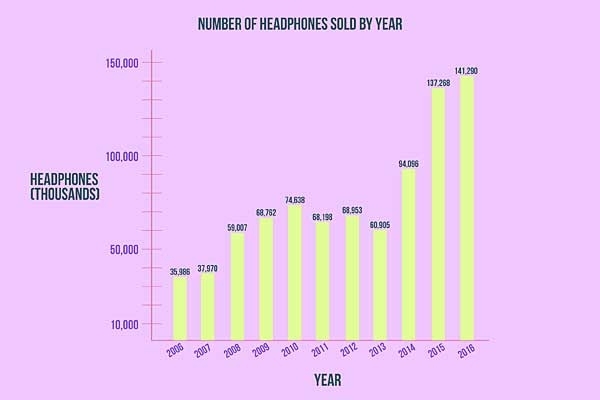 I understand that this data cannot possibly account for every single pair of headphones sold in any given year, but I believe that this is the most accurate account of data currently available to us. The graphic above was created with data provided to me by the CTA (Consumer Technology Association). 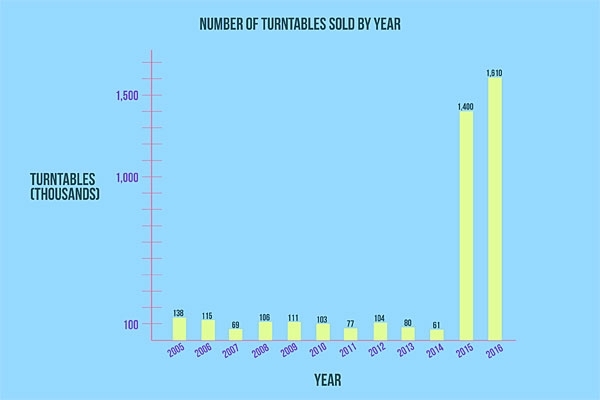 I understand that this data cannot possibly account for every single turntable sold in any given year, but I believe that this is the most accurate account of data currently available to us. It's a Sunday in suburbia. Sunny, 95°"sweltering," some would say. The kind of heat where, you grab that cold can of Guinness, and the moment it leaves the cold comforts of the fridge, it's dead on impact. The year was 2116, and the Earth was finally great again. War, poverty, global warming, starvation, racial inequalitythese, among many others, were all trivial, long overcome matters of the past. 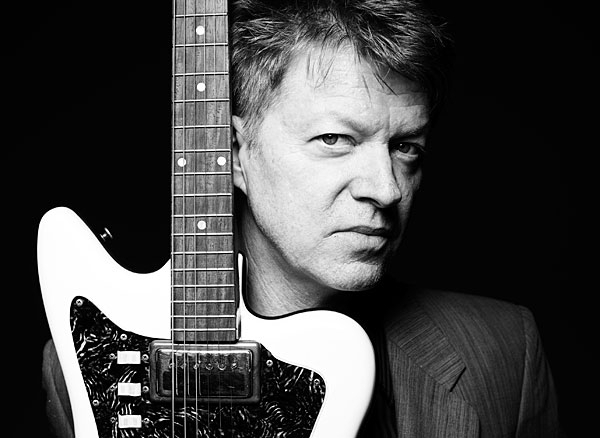 Guitarist Nels Cline will make his Blue Note debut on August 5this coming Friday as a download, with CD following on August 19 and LP on September 2with his album Lovers. It's a beautiful, wide-ranging, 18-track, 23-person-ensemble look inside Nels's soul, and a project that's been in the making for 25 years. It contains a mix of Cline's originals as well as songs by Sonic Youth, Arto Lindsay, Jimmy Giuffre, and Great American Songbook Standards. I'm sitting outside Penn Station. Next to me sits Jim Hall. A boy with an upright bass walks past us. "Is that a walking bass?" Jim chuckles. The boy, in passing, raises an eyebrow, glances over. Keeps walking, doesn't think twice. If you are a lover or a maker of jazz (or any music at all) you must be a fan of the legendary guitarist Jim Hall. At least, that is the hope I have seared into my mind, as to not completely lose all faith in humanity. New York, NYNews Bar Cafe, Union Square. It's 11am. Low jazz can be heard playing on the overhead speakers, along with background chatter and the occasional ambulance. Caffeinated beverages and breakfast sandwiches are present. I take a tentative sip of cappuccino, reach under the table for my trusty Zoom H5. 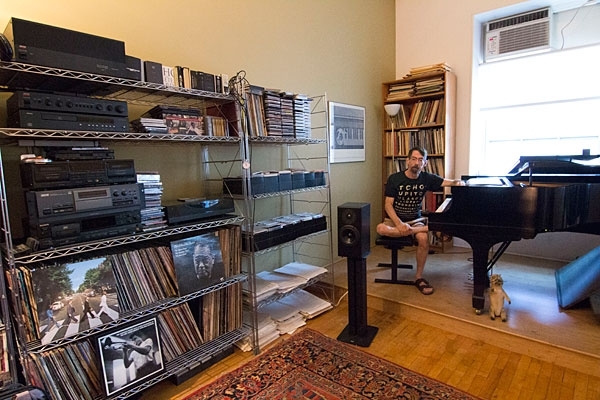 Across from me sits jazz pianist and composer Fred Hersch. A man who has meant many things to me in my lifetimea musical role model, a source of inspiration, a friend, a set of frequently played digital music files... I sit anxiouslyis it the awe or the beverage? I think to myself: he's now entering the realm of debatable audiophile and breakfast co-conspirator. Cappuccino sip. Let us begin.